When you lose one or more teeth, your oral health can take a turn for the worse. There’ll be an unsightly gap in your smile, and your remaining teeth will be under more strain. Eating food can become an uncomfortable experience. In Orpington, dental implants from Orpington Dental Care are a powerful solution to the difficulties caused by missing teeth. 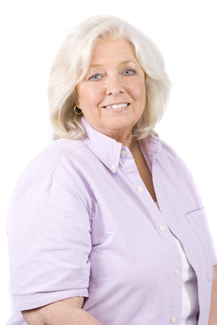 We have years of experience in using dental implants to restore dental function and aesthetic balance. Firstly, we’ll book you in for a consultation. At our friendly dental practice, we can assess your oral health and take some meticulous measurements of your teeth. You’ll need sufficient jawbone density before you can receive the implants, and some preliminary work might be necessary before we start the next stage. You’ll then receive your Orpington dental implants in a minor surgical procedure, during which our dentist places small, screw-like posts into your jawbone. After a period of healing, you’ll come back to the practice to have your new teeth affixed to the posts. You might find certain words and phrases easier to pronounce, which boosts the overall fluency of your speech. 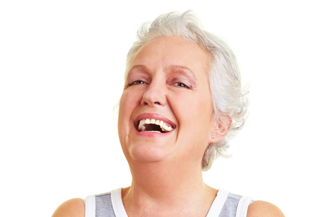 We can use dental implants in Orpington to restore any number of lost teeth. Whether you’ve had a single one knocked out while playing sports, or you’ve lost a whole set to tooth decay, we can give you back what you’ve been missing. This treatment will restore your dental function and improve your overall quality of life. This entry was posted in Dental Implants on 18th June, 2018 by Orpington Dental Care. The trouble with losing your teeth is that the replacements can mean a serious change to your diet, and a lot more hassle, inconvenience and potential embarrassment. If you are at an age when your teeth are beginning to fail, you may be wondering what steps to take to replace them. Perhaps your teeth have had so many fillings over the years and now they just can’t withstand the pressure of chewing anymore. Or perhaps gum disease is finally causing them to come loose in their sockets. Whatever the reason, the result is the same, and the solution could be either a fixed bridge, full or partial dentures, or dental implants in Orpington. Dental implants are replacement tooth roots and having something embedded in your jawbone that vibrates a tiny bit every time your teeth come together reminds your jawbone that it is still in use. These reminders stop the bone dissolving itself, shrinking in size and losing density. Dental implants in Orpington can withstand chewing forces more powerful than the average male chew, so you can carry on eating all those great foods you love: apples, nuts, raw vegetables, steaks and so on; foods that provide essential fibre and nutrients for your overall and digestive health. Other tooth replacements, such as dentures, only offer about a quarter of the chewing power you need and mean that you will have to be confined to a soft food diet for the rest of your life. No one wants to look older than they are, but if you lose all your teeth and do not replace the roots, it’s inevitable that you will. As mentioned above, your jawbone will resorb and no longer provide the strong framework for your cheeks, which will collapse inwards. Also, you will develop a pointy chin that is nearer to your nose than it used to be. These are actually symptoms of tooth loss but are perceived as being related to age. This entry was posted in Dental Implants on 21st May, 2018 by Orpington Dental Care. Are you in the market for replacement teeth? Perhaps you have lost some in an accident, or yours are beginning to fail. Whatever the reason for needing new teeth, the method of replacement that you choose can affect your quality of life for the rest of your life. If you care about having teeth that behave just like the ones you have lost, then you need dental implants in Orpington. 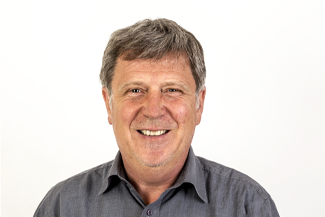 Here at Orpington Dental Care, we regularly see first-hand what a difference dental implants in Orpington make to the quality of life for our patients. People who have had dentures or had teeth that didn’t work very well, are amazed at how much easier eating, speaking and laughing become when they have dental implants to stabilise their crowns. The major difference between dental implants in Orpington and the other two methods of tooth replacement (dentures and fixed bridgework) is that dental implants replace the roots of the teeth as well as the crowns. Dentures rely on adherence to the gums for their stability, and bridges are attached to neighbouring teeth and use their roots for stability. Both of these other methods have disadvantages. Dentures can only provide about a quarter of the stability of natural teeth. This means there will be all sorts of foods you will no longer be able to eat, particularly chewy or crunchy foods. Bridges offer much more stability but using neighbouring teeth as buttresses means they have to be ground down to be covered by buttress crowns and can no longer operate as natural teeth in their own right. In effect, you lose two good teeth to replace one or two missing teeth. Dental implants, on the other hand, are embedded into carefully drilled channels in your jawbone, where, over a period of several weeks, they integrate with your bone tissue to become as securely held in place as your natural teeth and are able to sustain chewing forces of up to 97kg or 200lbs, which is more than the average male chew. To find out if you are a suitable candidate for dental implants in Orpington, come in for a consultation with our implant dentist. This entry was posted in Dental Implants on 7th May, 2018 by Orpington Dental Care. Have you recently discovered you are in need of dental implants? Perhaps you have lost one, or a number of teeth and are wondering what the best route forward is. This can be a daunting and confusing time as there are a number of options available for replacing missing teeth. Now is the time to consider dental implants in Orpington. Here at Orpington Dental Care, our friendly team can advise you on the best solution. With missing teeth, usually the most reliable and healthy option will be dental implants. These really are the next best thing to your own healthy, natural teeth. They are stable and strong when looked after well and your body will actually adopt the implants as if they were your own teeth. 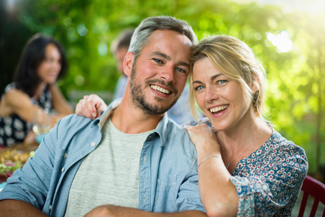 For patients in Orpington, dental implants are a popular and reliable solution to missing teeth that look, feel, fit and function like your own original teeth. 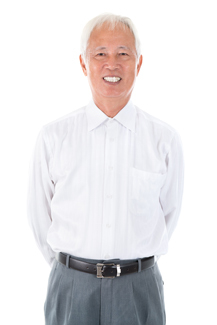 In the long run, alternative options, for example, dentures or bridges, can lead to face-altering bone deterioration. As you can imagine, this commonly interferes with eating, smiling, speaking and other activities of everyday life. 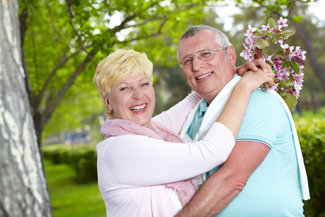 Here in Orpington, dental implants are our first recommendation for replacing lost teeth. They allow you to enjoy your life without worrying about your teeth. What more could you ask for from a tooth replacement solution? Forget the idea of removable dentures or tooth-supported replacement teeth. These traditional alternatives can loosen and even fall out when you talk, eat or laugh. Dental implant technology today allows you to have a better standard of tooth replacement. One that can let you lead your life without fear of embarrassment. Did you know that some tooth replacement options have the side effect of allowing your appearance to change over time? When your natural tooth is lost, your jawbone knows and reacts. Loss of vibrations and stimulation from chewing mean that your jawbone has no work to do. The bone will gradually deteriorate and shrink without essential stimulation. Dental implants actually protect your jawbone. They stimulate your jawbone, actually helping to maintain bone growth and prevent loss. Give is a call to find out how we can help you. This entry was posted in Dental Implants on 16th April, 2018 by Orpington Dental Care.